Spring has sprung! How do I know? The usual way. I saw a snake in my driveway. 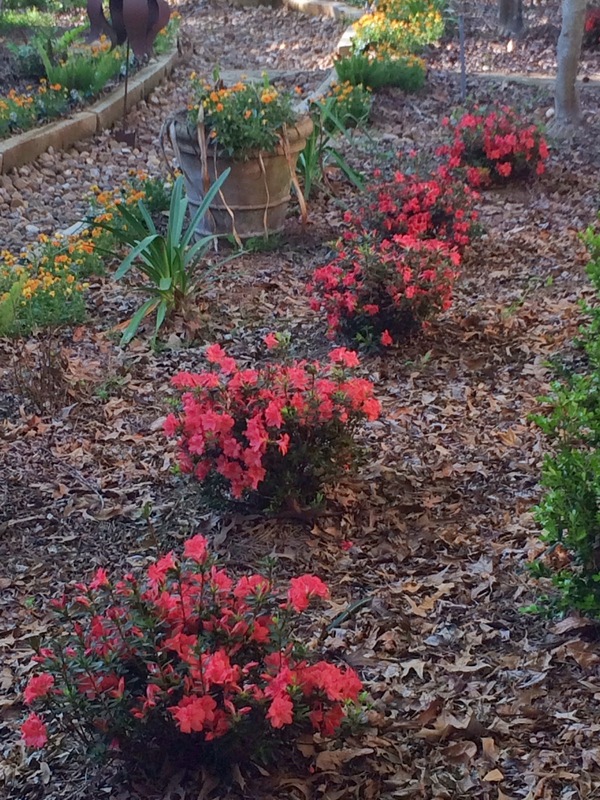 Oh, and the new azaleas in my front yard are blooming. 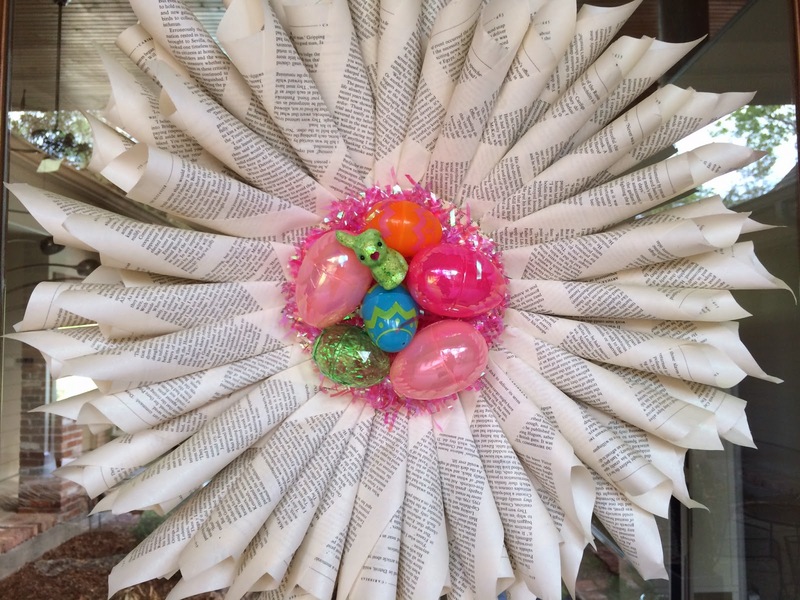 And because my wreaths are looking forward to Easter! 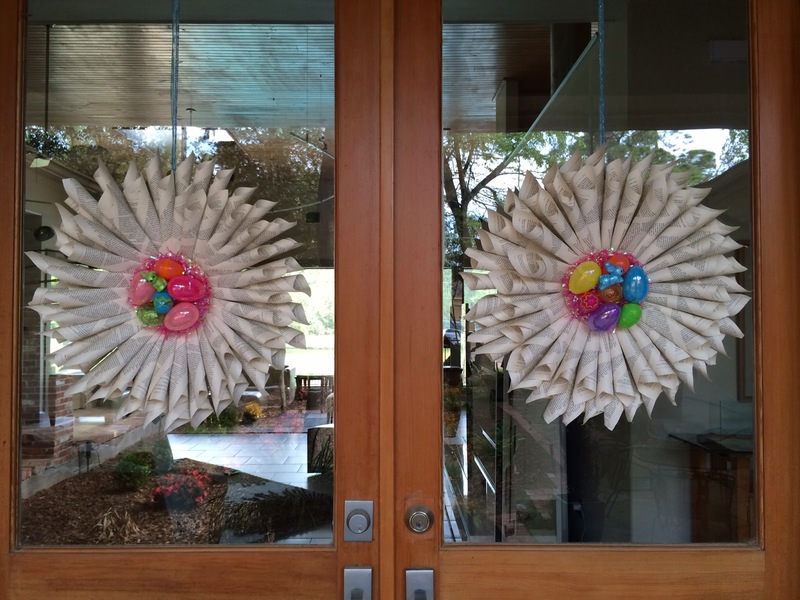 What says Easter more than plastic Easter eggs and neon pink plastic grass? 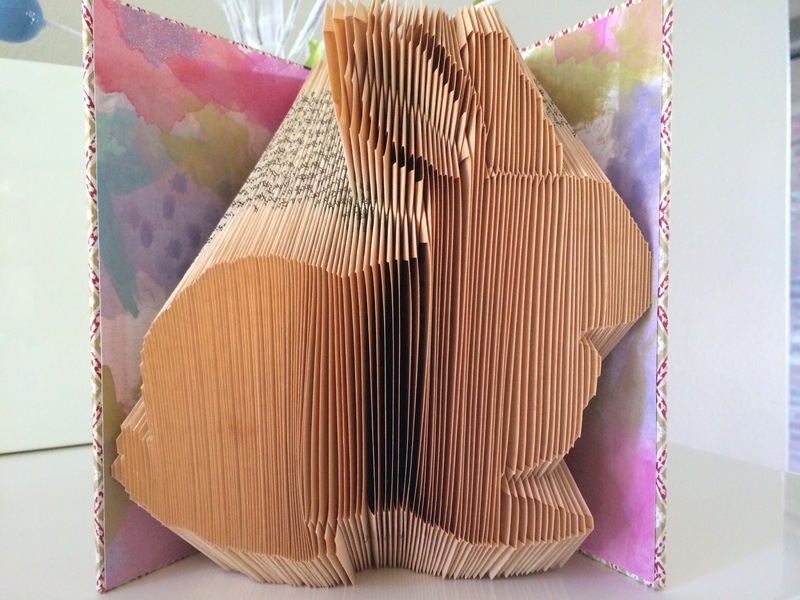 How about a folded bunny? 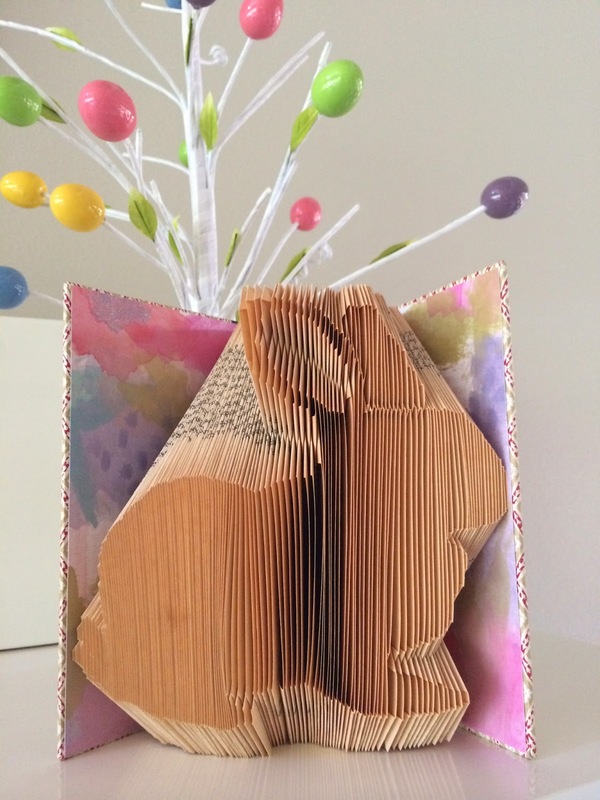 This bunny is destined for the Eggstravaganza Craft Show at Klein United Methodist Church on April 9. Starting today I'm going to count down the days with pics of what you'll be able to see at my booth. 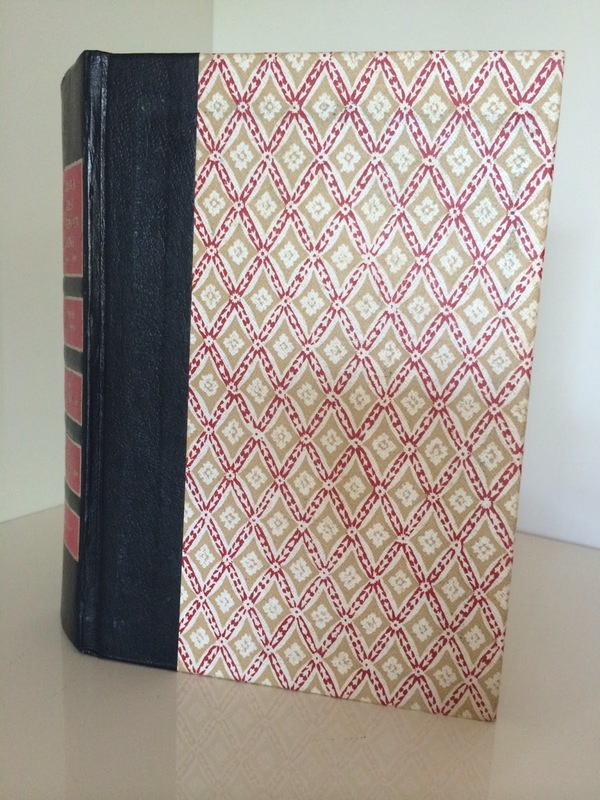 The bunny book is folded from an RDCB with a cherry pink and taupe diamond pattern and coordinating pastel watercolor-y endpapers. 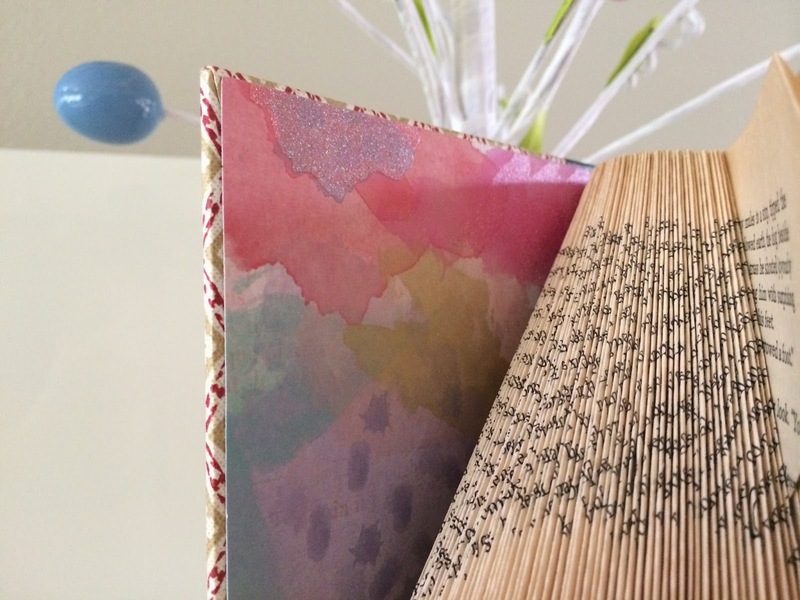 Wouldn't it look great sitting on your bookshelf to remind you that Spring is here? Much better than looking for snakes in the driveway. Trust me. You can keep your snakes, but that bunny is cute!